It's been quite a show season with many displays behind us now. February saw both Milton Keynes and Huddersfield shows and with the winter we had this year, attending was no small feat. In March we went to Peterborough and Shuttleworth. 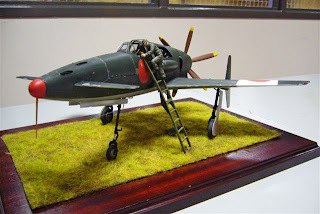 Shuttleworth had not hosted a model show for decades. In April we took the SIG display to Cosford and just this past weekend, Hinckley. All were a success and a great thanks goes to Paul Bebbington, Tim Cant, John Drummond, Frank Hayes and Peter James, who kindly brought models to make the display what it was. We have two shows left for the first half of this year: Hendon on 23 May and Downham Market on 27 June. JASIG South (hosted by Peter James) may be in attendance at the Salisbury show on Saturday, 29 May. Once summer is passed, we'll be busy again. One of my personal milestones was met at Cosford where we managed a wonderful line up of ten Japanese bombers all to 1/72 scale. You know, the many scale model magazines do a great job now of letting us know what new things are available. I picked up the Alley Cat resin conversion to make the Hasegawa Ki-61 a Ki-100 and thought you might like to see the cleaned up parts that make up the set. At Hinckley in the competition was the new injection moulded Shinden in 1/32 scale. It's a lovely kit and by today's standards not all that prohibitively expensive for what you get. Here is a link to the site where the kit is on offer and below are a copule of snaps of the model at Hinckley. It really is a cracker. 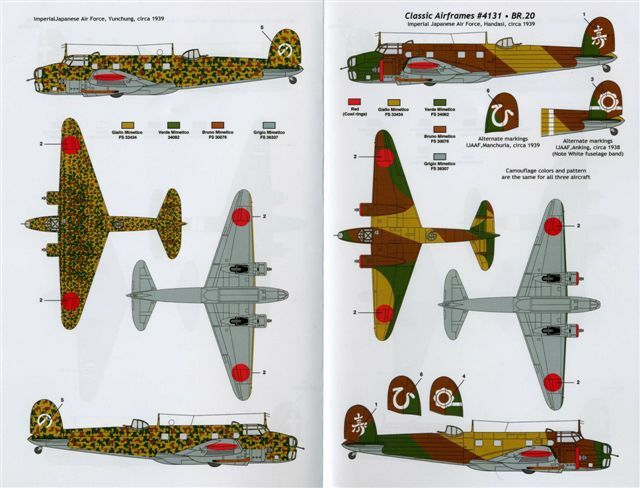 Unicraft is still on the move with their range of resin kits of paper projects and will soon be releasing a Ki-88, J4M and the Ki-119 in 1/72 scale. I've made some of their earlier offerings and if you like something different be sure to look out for these new ones. Images of the kit boxes are shown below. 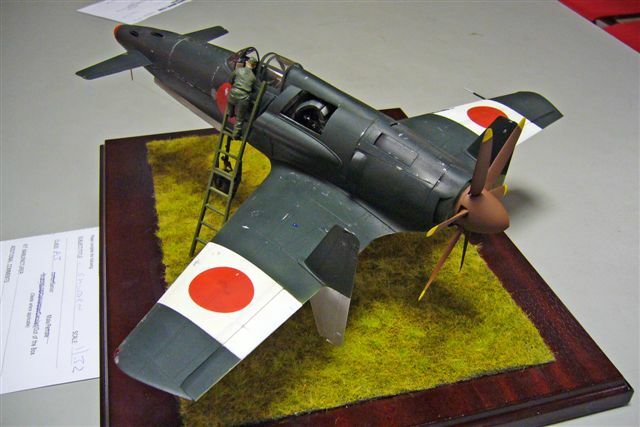 This is a kit of a plane more commonly known as the Yokosuka R2Y1 – hence the “Y” in its designation. Its parentage are a couple of Heinkel 119s exported to Japan in 1940 when the Reichs Luft Ministerium (RLM – the German air ministry) declared no interest in this unconventional high speed Heinkel plane – the RLM tended to be a trifle conservative. The He 119 featured a pair of coupled engines mounted behind the cockpit with a propeller shaft running through the cockpit and a glass nose similar to the He 111. A single prototype R2Y1 was built before the war ended, and flew, just once, on 8th May 1945, before being destroyed in an air raid. A second was still incomplete when the war ended shortly afterwards. This kit belongs to this millennium and features crisp & finely moulded mouldings with engraved panel lines and moulded cockpit sidewall detail accordingly. There is only minor flash. Instructions are in English and copy-righted 2001. Decals are for the single prototype; colour scheme is dark green over orange, as befits its prototype status. The cockpit floor moulding is impressive – who knows if it is correct, but it certainly looks the part – it provides more detail than can be seen through the canopy or windows. The seat backs were very finely moulded; the instrument panel is nicely detailed and does not use a decal – thankfully! I just added seat belts. 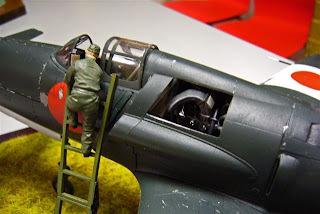 I suggest that you glaze the hole in the cockpit floor with Krystal Kleer (other brands are available) and then paint the underside dark grey. I made a wall behind the instrument panel to seal off the cockpit from the lead shot used as nose weight. Once packed with lead I sealed off the 2 side passages under the floor with PVA glue. I used 20 – 25gm of lead under the cockpit floor – it was enough; the instructions say “more than 15gm”. A single piece bottom wing ensures that the wing dihedral is correct; minor filing of the wing roots was required to remove a small step; the small wing root gap was filled with super glue. The wing trailing edges are as thin as can be hoped for. Under-carriage bays are boxed and include some detail. The fin is moulded offset to starboard – neatly engineered. Although the original plane had only 4 exhaust pipes, 2 are moulded with the fuselage and a further 4 are provided separately – at least you have spares in case you sacrifice one to the carpet monster. The dorsal air intake is not curved enough to fit tightly all along its length: I cemented the front/middle down, left it to set over night, and then clamped and glued the back half the next day. The weak point of many good kits is poorly fitting canopies, but here the fit is perfect and I just painted MEK (methyl-ethyl-ketone) along the join to glue it on. After recent Hasegawa kits I was expecting thick decals but these are perfectly thin, but not too thin BUT they react badly to Microscale Sol. I used Microscale Set without problems after the initial contretemps with Sol! Hinomarus are made from separate disks of white and red – but after destroying mine with the Sol I replaced them from a generic set of Hinomarus from Techmod. As I wanted an “operational” plane (as a worthy opponent of future Tiger Force planes) I painted the underside grey instead of orange, and added the tail markings of a real reconnaissance kokutai from my spares. Recommended to all skill levels; this kit can be built out of the box requiring only some nose weight and, ideally, some seat belts. It was a quick and enjoyable build. At this writing the Classic Airframes BR20 with two Japanese options is available from Hannants. "It aint cheap", but it will make a lovely addition to the 1/48 scale line up that begins to dominate our hobby. Thanks for all of the support and I look forward to seeing you on the show circuit and of course, Scale Model World, 13 and 14 November. Remember, our theme this year is a split one: half of the table will be Japanese Self Defence Force aircraft and the other half will be Japanese aviation of 1940 with a twist: if you're inclined to make something which has an antaganist and you wish to display an aircraft with its adversary, you may. (Sounds like Perrys and I-15's to me.). We hope to parallel the war years, 70 years on. If you are keen, we'll keep this going in years to come. Feedback welcomed! Take it easy and I hope to see you at one of the shows.